We've seen various new Canon EOS / Canon EOS M / Canon PowerShot cameras / EF Lenses released during 2017. A few more releases are expected during the remainder of this year. Canon EOS bodies, Canon PowerShot cameras and EF lenses expected for release during 2018 are listed here - 2018 Rumors / Release Dates. 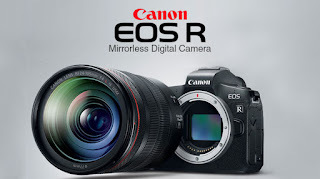 Please note: Information / specifications published in Anticipated Canon EOS DSLR / Canon PowerShot Releases 2016 post and / or elsewhere on any of this website's posts / pages ares based on anticipated / expected and rumored upcoming releases of new Canon EOS / PowerShot cameras - possibly to be launched during 2017. No responsibility or ownership is taken or claimed for [additional] information provided by any website we may point readers to.